Once Upon a Twilight! : Ferris Bueller's Day Off- 30th Anniversary iTunes release! Ferris Bueller's Day Off- 30th Anniversary iTunes release! Get the Film on iTunes May 17, 2016 with Behind-the-Scenes Special Features for the First Time! HOLLYWOOD, CALIF. – On June 11, 1986, writer/director John Hughes unleashed Ferris Bueller on the world…and we’ve been laughing ever since. The seminal comedy about a high school student’s wild adventures in the Windy City during a single, glorious day off continues to be enjoyed, quoted and revered 30 years after its theatrical debut. 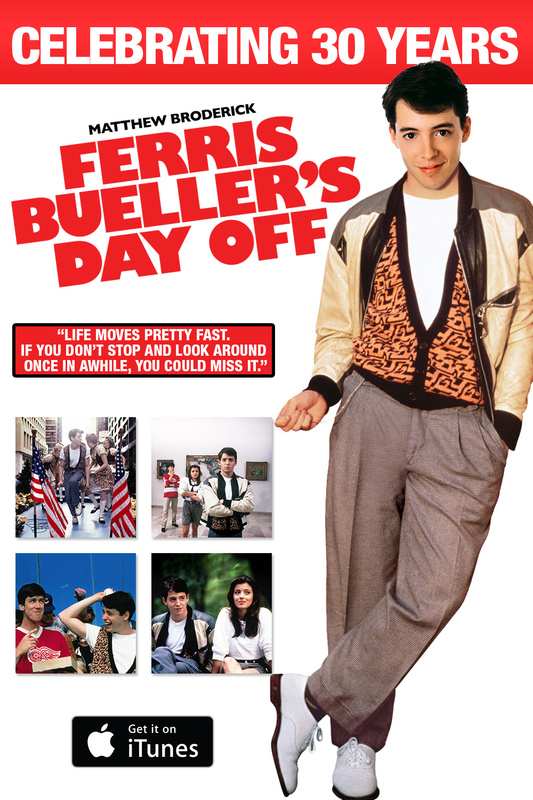 In 2014, Ferris Bueller’s Day Off was added to the Library of Congress’ National Film Registry, which serves as a compendium of films that have been judged to be culturally, aesthetically or historically important. · Beginning May 19 and continuing throughout the summer, visitors will be able to take part in activities at Willis Tower’s Skydeck Chicago, which is featured in an iconic scene from the film. The fun will include photo opportunities on the 103rd floor observation deck where Ferris and his friends took in the breathtaking view in addition to photo ops with a modern-day Ferrari California T. Fans will be able to enjoy “Abe Froman, Sausage King of Chicago” themed sausages and hot dogs as well as take home Ferris merchandise from the gift shop. Visit www.theskydeck.com for more information. 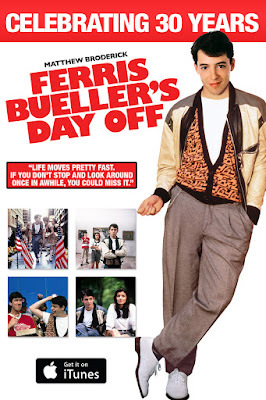 · On May 15 and 18, Ferris Bueller’s Day Off will return to the big screen in more than 650 movie theaters nationwide for two screenings each day as Fathom Events, Turner Classic Movies and Groupon present the film. Adding even more fun to the 30th anniversary celebration, the event includes archival interviews with John Hughes and cast members about the movie, and TCM host Ben Mankiewicz will present all-new commentary both before and after the feature. For information and tickets, visit www.FathomEvents.com. 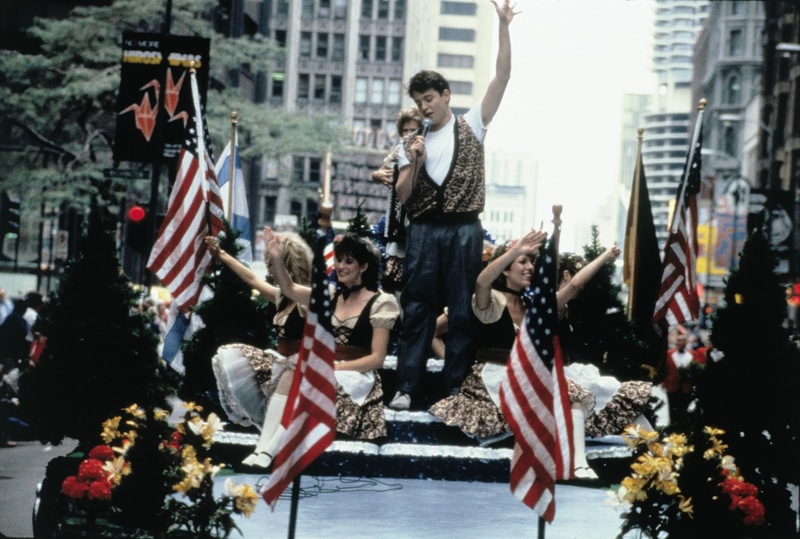 As sponsor of Fathom Events’ screenings of Ferris Bueller’s Day Off, GROUPON will be offering fans the chance to win their own Official Ferris Bueller’s Experience, including an epic Chicago adventure for two and daily ticket giveaways to the Fathom Events screenings. More details will be available at groupon.com/ferris starting on May 6. · On May 17, fans can download the must-have classic to watch again and again when it launches with behind-the-scenes special features for the first time on iTunes. · From May 20-22, “Ferris Fest” will take place in Chicago. 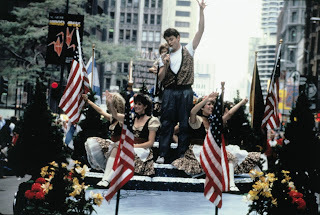 The weekend-long event will include two special screenings of the film followed by a Q&A with cast members; an opening night 80s high school dance hosted by DJ Richard Blade; a re-creation of Ferris Bueller’s room; a re-staging of the film’s parade sequence; a tour of key filming locations around Chicago; and more. Visit www.FerrisFest.com for more information. · On June 17, fans can catch a Chicago Cubs game just like Ferris and his friends. Up to 5,000 early arriving Budweiser Bleacher adults age 21 and older will receive “Save Ferris” t-shirts and enjoy clips from the film on Wrigley Field’s video board. Paramount Licensing handles worldwide licensing and consumer products for all Paramount properties including classics such as THE GODFATHER, MEAN GIRLS, GREASE and TOP GUN as well as upcoming theatrical releases including MISSION: IMPOSSIBLE 6, BAYWATCH, GHOST IN THE SHELL, and SHERLOCK GNOMES. The division develops programs across a wide variety of categories. From collectibles, apparel, accessories and food and beverage products to interactive and virtual reality games. Waaah! I am going to be in Chicago this week. I would have loved to go to this. The last time I was in Chicago, we did a Ferris Bueller type tour of Chicago. I tried to visit a bunch of places from the movie.